One of the challenges of making sense of the combat on the Eastern Front of World War 2 has always been trying to figure out what the correlation of forces in a particular encounter were. The large, unwieldy Soviet formations of 1941 gradually led to units that were simpler and more manageable, but often did not equate well with German or Western formations of similar names. For example, the Soviet Tank Corps of 1942 was similar in size to a German Panzer Division, yet at first glance, sounds like a formation that should be 3 or 4 times as large. Add to that the rapid doctrinal changes, hasty construction of units and shortage of weapons during 1941-1942, followed by extensive supplements supporting arms to units while allowing them to fight at strengths significantly below official TO&E during 1943-1945 and you have a series of confusing organizational riddles. 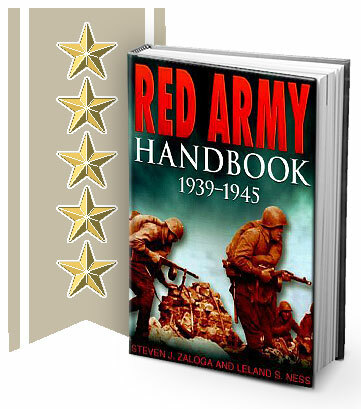 This book by Steven Zaloga and Leland Ness attempts to untangle this confusing state of affairs by delving into the Russian archives so that the combat power of Soviet units, at least as they were initially fielded, can be assessed. This is a book that is designed for the military history researcher and war gaming communities without much appeal beyond that narrow audience since it presupposes significant knowledge about the events and background of the fighting on the Eastern Front. However, for anyone doing research, this is the first stop for organizational information. The only real frustration is not getting quite the granularity necessary for some tasks, such as keeping track of the changes to infantry squad and platoon organizations. Further, there is some disagreement with other sources, so this narrows, but doesn’t eliminate, the challenges in dealing with Soviet organization. Overall, this is an essential research tool and the starting point for answering organizational questions about Soviet forces in WW2. Five stars for the intended audience, probably two stars for the general public.